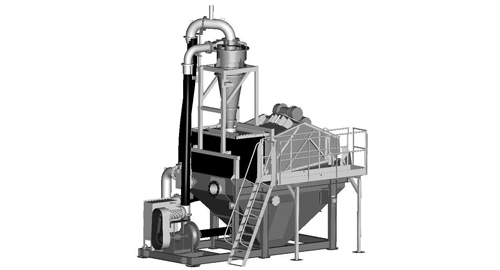 The Terex® FM Compact range are static sand recovery units designed to be both cost and energy efficient. The range uses centrifugal force within the cyclone(s) to remove clay, silt and slime from sand to bring it into specification. The range combines a collection tank, centrifugal slurry pump(s), hydrocyclone(s) and a dewatering screen on a single chassis.